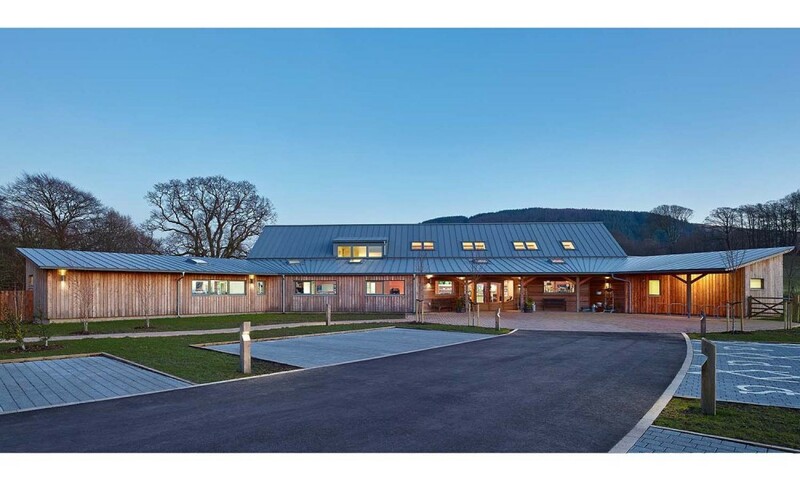 The Loch Arthur Community in Beeswing is a working community which includes men and women with learning disabilities. 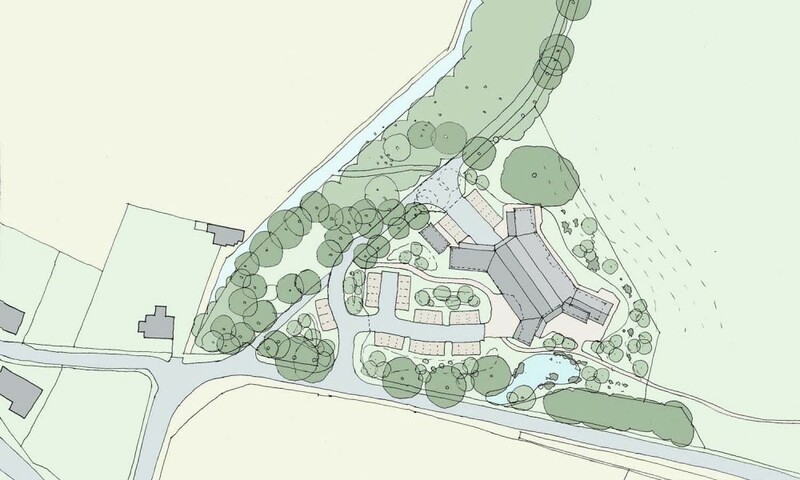 The community is based on a 540 acre estate which comprises 9 houses, organic farm, creamery, organic garden, woodland, loch, and new farm shop. 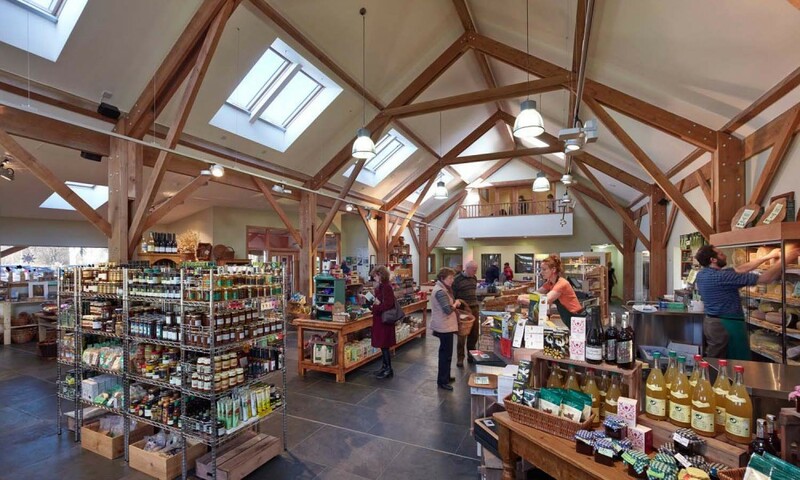 The new farm shop provides an outlet for all the community produce and includes a bakery, butchery, fruit & vegetable shop, grocery and café with ancillary accommodation for staff, chilled storage, kitchen, etc. 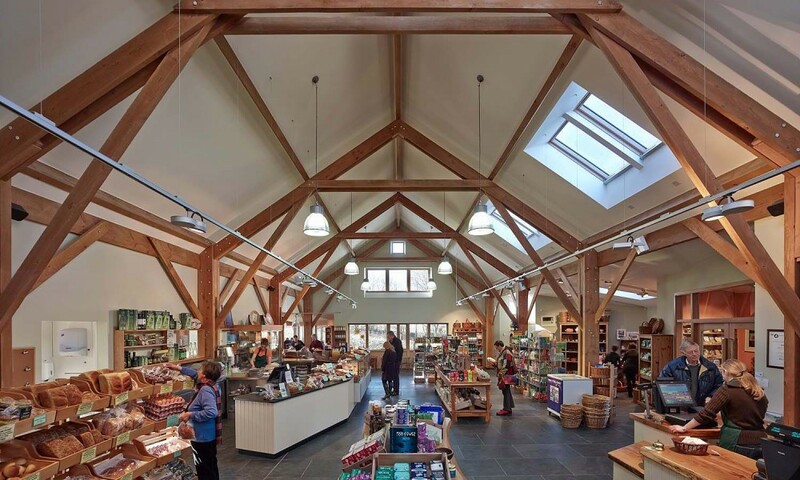 The core of the building is the main shop area in the principal double volume barn-like space off which there are four single storey wings containing the ancillary accommodation and café. The wings embrace four external spaces: the public entrance; external terrace to café; staff entrance and deliveries; and outside seating and storage area associated with the staff accommodation. The built form deliberately references traditional agricultural buildings in order to provide a feeling of welcoming, comfort and resonance. There is a strong sustainable approach to the construction and systems design. The primary exposed timber structure to the shop and café areas uses Scottish stress graded Douglas Fir, and all the external walls are clad either in Scottish Larch or Western Red Cedar. 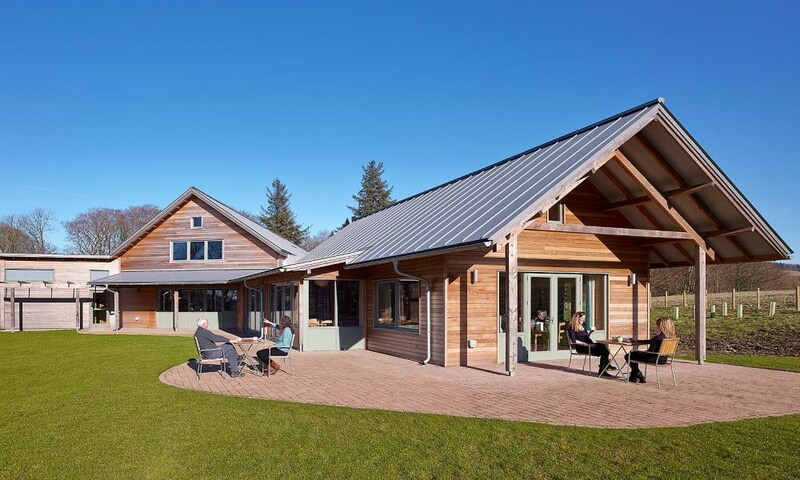 All roofs are clad in standing seam grey zinc to give a consistent uniformity. The large variety of activities within the building have several different environmental requirements. These require either cooling or heating which comes from a bank of air sources heat pump, which are controlled by a building management system. In addition to the heat pumps are solar water panels to supplement the heating.